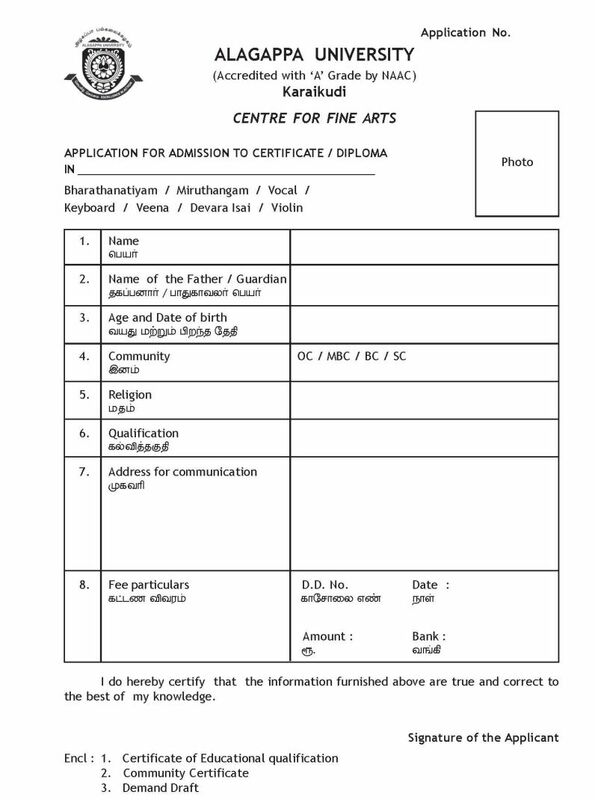 Will you please tell me from where I can download the application form for taking admission at Center for Fine Arts Alagappa University? Also tell me who is the director of this center? Dr. M.S. SARALA is the Director of the Centre for Fine Arts Alagappa University.